Hi friends, Here is my Chickpea Crackers for October Month's Home Baker's Challenge. 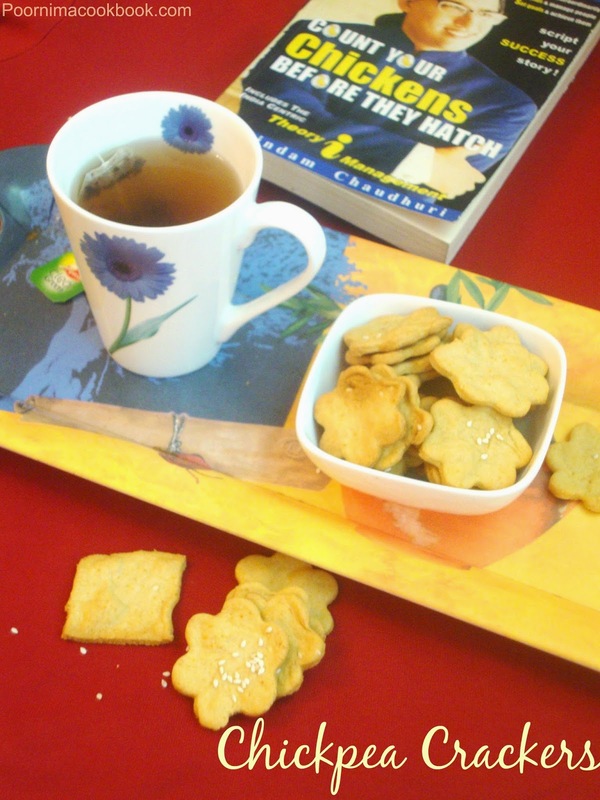 This month Priya suresh is hosting the event and she has selected Savory Crackers as a challenge. 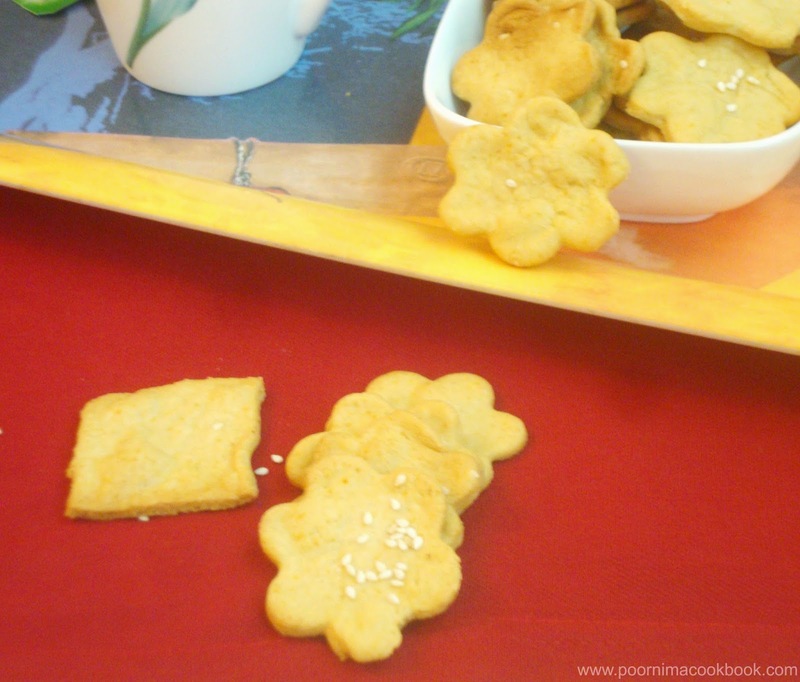 I love to prepare this Chick pea crackers which is spicy and also crispy with Indian flavors. This recipe is adapted from here. Thanks to Priya Suresh for starting the group and also for hosting this month's event and challenge. To know more about Home Baker's Challenge click here. Why not give a try on Guilt - free Crackers for this Diwali? Preheat the oven to 180 C. Grease the baking tray with little oil and keep aside. Mix every thing in a bowl, except water. Add water little by little to make into a dough. Roll the dough into a floured surface; cut into shapes with cookie cutters or a knife and sprinkle with colored sugar / sprinkles. Repeat the process for the remaining dough. Place cookies in the baking tray. Bake at 180 deg. C (temperature may vary for different ovens) for 10 to 12 minutes, in the preheated oven . Let the crackers cool completely and store in a air tight container. Your guilt free crispy crackers is ready to munch! Adjust the chilli powder amount according to your taste. Happy to munch away your crackers... Looking sooo good!! !